The Motel Life is a blend of about a dozen surprisingly stellar performances, mostly coming from actors you might not have thought were up to the challenge. Emily Hirsch might be the most expected, especially if you’ve seen him in Into the Wild, the film that launched him as a serious acting threat. 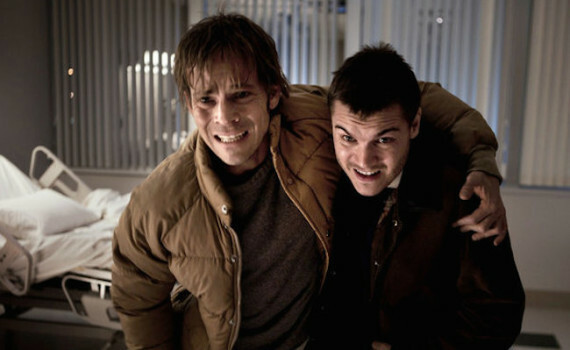 Stephen Dorff is a lesser known name, but a solid veteran who can pack a ton of punch into a small scene. Dakota Fanning is well-known for her child acting, seems to be fairly hit or miss with her movie choices these days, but has the talent to slide into a role if not asked to do too much. And then there are the side characters, who all gave quality minutes to the film, filling it in with believable detail that fleshed out the already strong central plot. This film works on many levels, but mostly due to its actors, a group that might have collectively delivered the best ensemble performance of their careers. Brothers Frank & Jerry Lee have been inseparable since the loss of their father and then mother, sticking together no matter what. When the state might have split them up, the boys went on the run, resulting in the loss of Jerry Lee’s leg, but never slowing down their drive to live connected lives. Frank often says that Jerry Lee has the worse luck he’s ever seen, but that doesn’t stop him from stepping up for his brother time and time again. That includes driving him out of Reno in a hurry when Jerry Lee accidentally hits a boy on a bicycle, the pair quickly becoming luckless & rather bumbling fugitives who soon find themselves right back in Reno where they began. But when the police grow suspicious, they’ll have to hit the road again, living the motel life once more, traveling light, and trusting each other completely. The three main actors all stepped up to the plate in what is a complicated story with a ton of emotion pressing down on every scene. They were able to convince audiences of a deep backstory without our having seen much of it, allowing us to become invested right from the very beginning. And the side acting was incredible as well, with well thought out and very unique characters that really painted the backdrop. But the coolest element of the film had to be the artistic side of both brothers, Frank the storyteller and Jerry Lee the illustrator. Frank became a sort of imaginative narrator, creating fiction around their difficult lives, keeping Jerry Lee from giving up, and showing us that you’re never too old to want to hear a good story. Every piece came together, with a few added laughs for levity and a dog to pull at your heartstrings, to create something both entirely unexpected and completely appreciated.